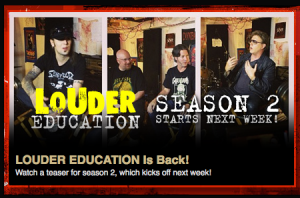 THOR LOUDER EDUCATION WEB SERIES, SEASON 2, PREMIERS 10/15/13 – WATCH THE TRAILER HERE! 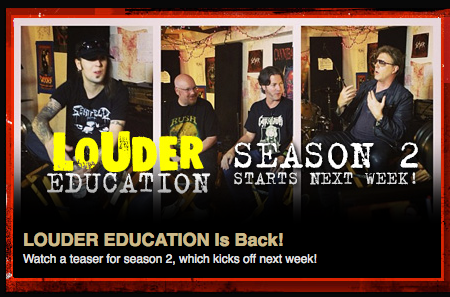 THOR Louder Education web series, Season 2 premiers 10/15/13 on Metal Injection! Watch the trailer here. This season, hosts Alex Skolnick (Testament, Alex Skolnick Trio) and Tomato (Sound Of Urchin, T.H.O.R. ), and the students of Tomato’s House Of Rock welcome special guests Alexi Laiho of Children of Bodom, Jay Jay French of Twisted Sister, Brian Slagel of Metal Blade Records, Don Jamieson of That Metal Show and Doc Coyle of God Forbid!